begun to shape the society in which it arose. 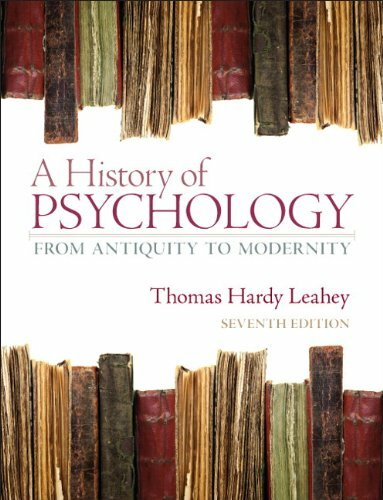 The text carefully examines how issues in psychology reflect and affect concepts that lie outside the technical concerns of psychology as a science and profession. Learning GoalsUpon completing this text, readers will be able to:Know the events in the history of scientific, applied, and professional psychologyUnderstand how psychology’s development was shaped by external forcesDescribe how psychology has and continues to shape societyNote:MySearchLab does not come automatically packaged with this text. To purchase MySearchLab, please visit:www.mysearchlab.comor you can purchase a ValuePack of the text + MySearchLab (at no additional cost): ValuePack ISBN-10: 0205868622 / ValuePack ISBN-13: 9780205868629.